On Tuesday, we will enter "crossover." This is the halfway point in the General Assembly where all the bills introduced by a Delegate must be heard in the House and, if supported in committee, come to the floor for a vote by the entire House of Delegates. Concurrently, this same processes must be done in the Senate with all Senate bills. Once the House and Senate have voted on their respective bills, they will crossover to the parallel body and go through the subcommittee, committee and full body approval process, once again. This means that the coming convening of the House of Delegates will result in long days and thorough debates of final House bills, including our budget bill proposal. One of the bills that's on its way over to the Senate is my bill, House Bill 1820. This bill prohibits an employer from requiring an employee or a prospective employee to sign a nondisclosure or confidentiality agreement that has the purpose or effect of concealing the details relating to a claim of sexual assault as a condition of employment. 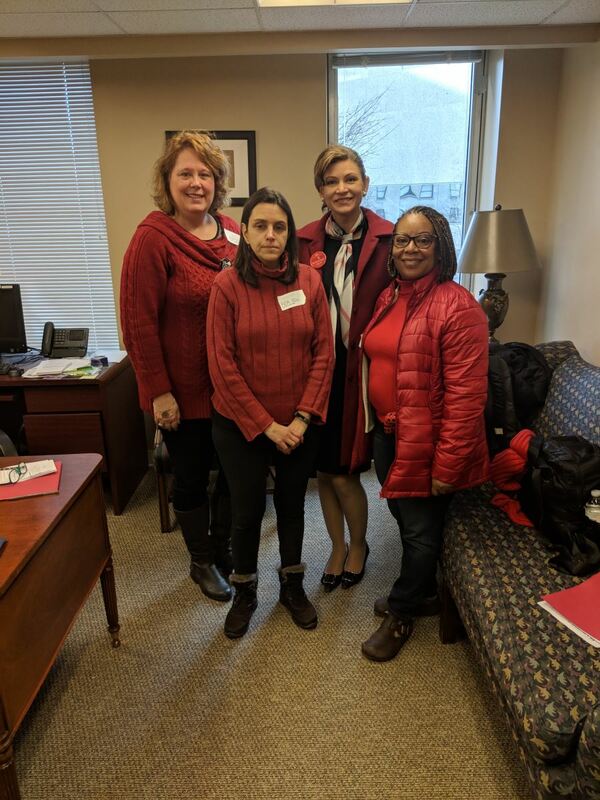 This is one strong step forward in closing the loophole that leaves room for these kinds of sexually predatory behavior in the Commonwealth and will empower victims of sexual violence by allowing them to come forward about their assault. I am proud to have had bipartisan support for this effort and will continue to advocate for the empowerment and safety of victims of sexual assault, violence, and harassment. I look forward to updating you next week on the status of the budget bill and bills which will be heard in the Senate. 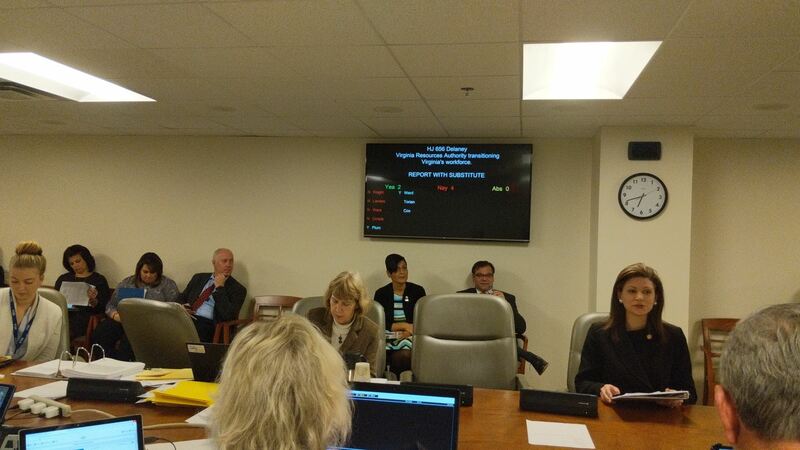 On Tuesday, I defended House Joint Resolution 656 a study would have asked the Chief Workforce Development Advisor to study the processes of transitioning Virginia’s workforce from fossil fuel to green energy jobs. The study would provide answers on how to expand Virginia’s green initiatives while lessening the potential negative effect on current fossil fuel energy workers and businesses. This bill would have answered the call of "what will happen to our workforce if we move away from fossil fuels?" Despite it failing to pass on a 4-3 vote, I will continue to advocate for legislation which helps us move closer to a "green" Virginia. 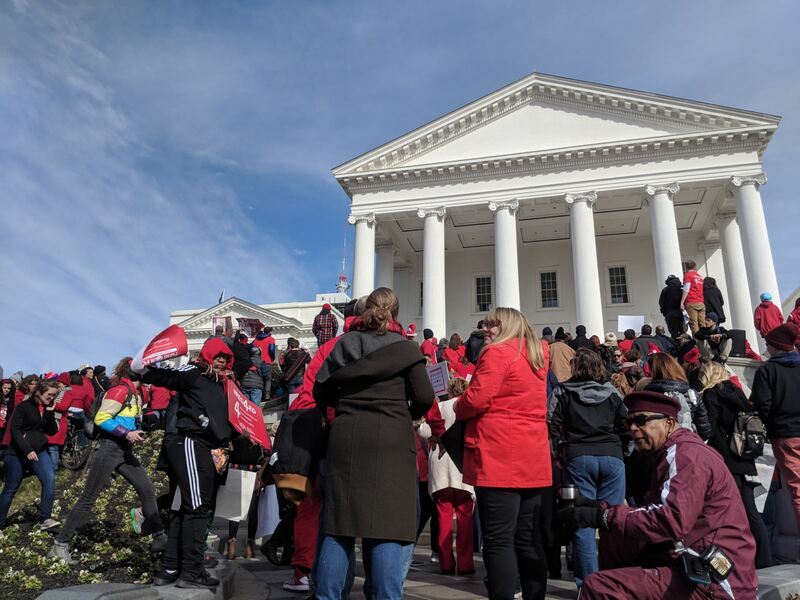 On Monday, over two thousand teachers, parents, students, and education advocates rallied at the Capitol and demanded that the General Assembly fund our future by supporting our schools and teachers. 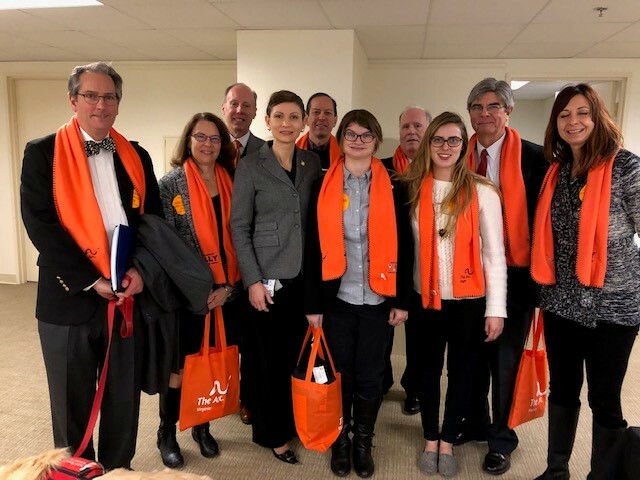 They rallied to make sure that we deliver on our promise to give teachers a 5% salary increase and to spend $35 million to improve the Commonwealth's per public spending, ensuring that our students are provided with the essentials needed to succeed in schools. I will continue to stand with our educators and supporting staff, and fight to secure more funding for our schools.